Korea’s biggest annual film festival opens in Busan today, featuring a total of 301 films, including 95 world premieres from 70 countries, and two highly anticipated directing debuts by prominent Korean actors. 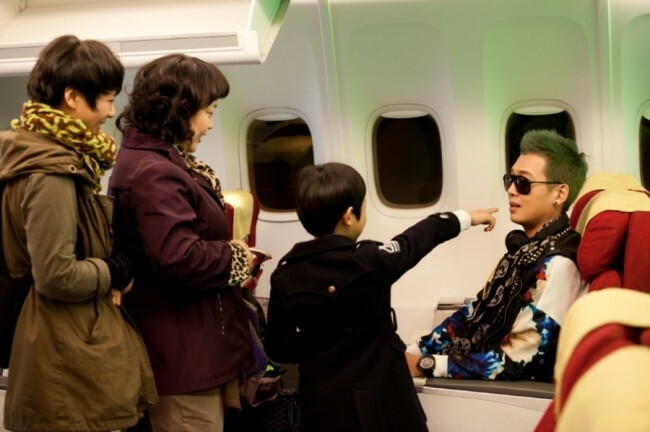 Ha’s “Fasten Your Seatbelt” is a comedy about a Korean hallyu star who gets on a plane from Tokyo to Seoul and encounters severe turbulence during the flight due to a typhoon. Ha reportedly wrote the script of the movie based on his friend and actor Ryoo Seung-bum’s real-life experience. According to Ryoo, the turbulence went on for almost seven hours ― it normally only takes about two hours to get to Seoul from Tokyo ― and he genuinely thought he was going to die. Actor Jung Kyung-ho (“Herb,” “Sunny”) is playing the role of the pompous hallyu star caught in trouble. Meanwhile, Park Joong-hoon’s “Top Star” tells the story of an entertainment agent who dreams of becoming a famed actor. Starring Uhm Tae-woong, So Yi-hyun and Kim Min-jun, the movie is loosely based on Park’s 28-year career as a film actor in the local entertainment industry. Both Ha and Park’s movies are scheduled to hit theaters nationwide after their premiere at BIFF. The upcoming film festival will also be the only chance for many who live in English-speaking countries to see the original version of “Snowpiercer,” as the film is currently being re-edited for its North American release. A special retrospective of Korean veteran filmmaker Im Kwon-taek will feature nine of his works, including “Seopyeonje” (1993), “Ticket” (1986), “Seize the Precious Sword” (1972) and “Chunhyang.” (2000). A number of famed cineastes from home and abroad, including Hong Sang-soo, Bong Joon-ho and Chinese filmmaker Jia Zhangke, will talk about Im and his works after the screening of the films. During this year’s edition, Im is also scheduled to announce the details about his upcoming film “Hwajang.” The film, which will be Im’s 102nd movie once released, is based on famed author Kim Hoon’s award-winning short story of the same title. It tells the story of a middle-aged man who spent most of his life working for a cosmetics company and his cancer-stricken, dying wife. The story’s title “Hwajang” is a Korean word with two meanings: makeup and cremation. A Bhutanese film directed by a Buddhist monk, titled “Vara: A Blessing” opens this year’s edition, while Korean director Kim Dong-hyun’s indie movie “The Dinner,” a drama about an ordinary family facing a series of financial and other misfortunes, will close the festival. The closing film is being screened as a world premiere. Irish filmmaker Jim Sheridan, a six-time Academy Award nominee known for films “My Left Foot” and “In America,” will be throwing a Master Class for cinephiles during this year’s edition. The Busan International Film Festival runs until Oct. 12 at Busan Cinema Center and other venues in the city. For this year’s full lineup and ticket information, visit www.biff.kr.